U.S. Naval Air Superiority examines the Navy's internal struggle to adapt the jet engine to its style of warfare as well as the development and evolution of carrier-borne fighters and their airframes and engines, from the closing days of World War II through Vietnam. As World War II came to a close, piston-powered fighter aircraft were at their zenith, and Navy fighters, such as the Grumman F6F Hellcat and Vought Corsair, dominated the skies over the Pacific. As these fighter designs reached their peak, a new propulsion technology was being developed that held great promise. When introduced, the first jet aircraft were underpowered, and in many ways inferior to propeller-driven aircraft of the time. U.S. Naval Air Superiority examines the Navy's internal struggle to adapt the jet engine to its style of warfare as well as the development and evolution of carrier-borne fighters and their airframes and engines, from the closing days of World War II through Vietnam. For the first time, U.S. Naval Air Superiority profiles the turbulent design and development stage of the Navy's carrier-based jet fighter program. From the successful designs, such as the Fury, Banshee, Crusader, and Phantom II, to the also-rans, like the Fireball, Demon, Pirate, and Cutlass, the Navy's needs are measured against contractor and political demands and the limits of the evolving engine and aerodynamic technologies of the day. This book includes engine cut-aways, aircraft comparison diagrams, and details the safety improvements made to aircraft carriers to enable higher speed and high-gross-weight jet operations. 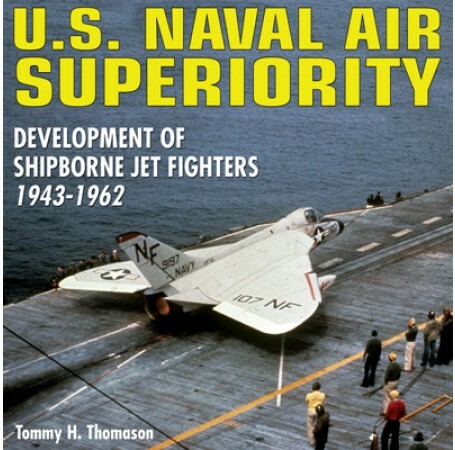 "If you buy only one book on early USN jets in your lifetime, this is the one to get. It is that good." "For those interested in an in-depth analysis of Naval jet aviation, this book is an essential read." 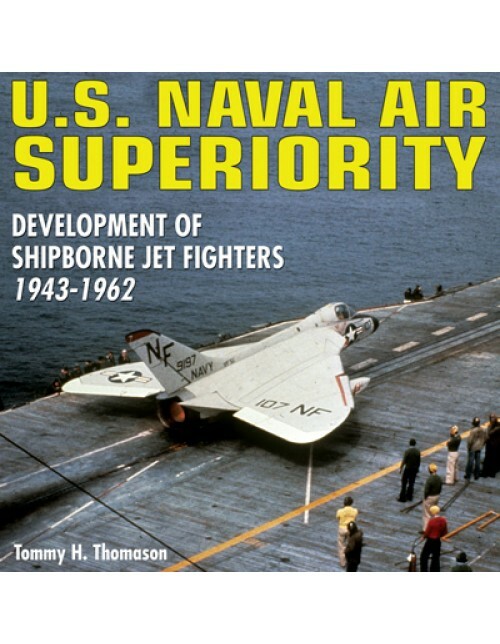 "This book is a great addition to anyone's library and in particular any person who is interested in the early years of US Navy jet aircraft and carrier development." "This book is probably best enjoyed by the serious aviation or military buff, however, the interesteing trivia and straightforward style of the author (along with many photos and illustrations) might make this a work of some interest to the more casual aviation afficionado." "For fans of naval aviation and anyone else who is seriously interested in post-World War II fighter development, U.S. Naval Air Superiority is a must buy." "Anyone who considers himself a student of aviation history or, for that matter, anyone who writes on the subject should consider this volume required reading. And it is as fascinating as it is informative." "This is an outstanding, one of a kind account of the trials, tribulations, and ultimate successes that distinguished the development of U.S. Navy Jet Fighters." "You don't need to be a pilot engineer to understand this book, but folks with stick time will definitely appreciate it." "Although the subject may seem quite generic, the manner in which it has been covered combined with the wealth of images make it ideal for anyone interested in the USN, carrier operations or any of the aircraft types mentioned."